We now have a few very secluded tent sites available. That itch. That feeling of needing to get away for a few days. We have all felt it, and now, you know where to do it. Center Hill Campground provides a great place to scratch that itch and experience the kind of soul lifting peacefulness that only camping can bring. 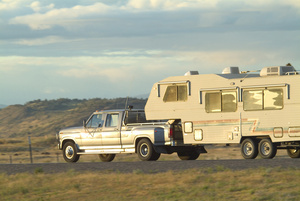 Whether driving a Class A motorhome, pulling a travel trailer, or simply pitching a tent. Nestled in the hills around Center Hill Lake in rural Silver Point, Tennessee, we provide a peaceful camping experience, and are still very close to all the things a lake can offer. Fishing, boating, hunting, swimming and much more are literally right around the corner. The Caney Fork river below the dam has some of the best trout fishing in the southeast, stocked annually by the TWRA, and there are 20,000 acres of land around the lake for hunting. Visit the TWRA for more details, and you may buy your hunting and fishing permits online here. Are you a hunter and like to hunt every weekend? You've got to check out our Stow & Stay Club. Visit the TVA for important information about the lake, including the generation schedule from the dam, essential if you plan to fish below the dam in the Caney Fork river. Need a map of the lake? Here's a PDF of the reservoir. We are located about 600 yards from the entrance to Edgar Evins State Park at 1581 Wolf Creek Road, and less than 5 minutes from several recreation areas near the dam. We are close enough to have all the benefits of the lake, and just far enough away to be totally peaceful. The perfect place to unwind after a hard day at the lake. So come on out and experience the quiet, peaceful times to be had at Center Hill Campground. Just enter your address or zipcode in the directions tool on this page, or the footer of any page, and get directions, including travel times. 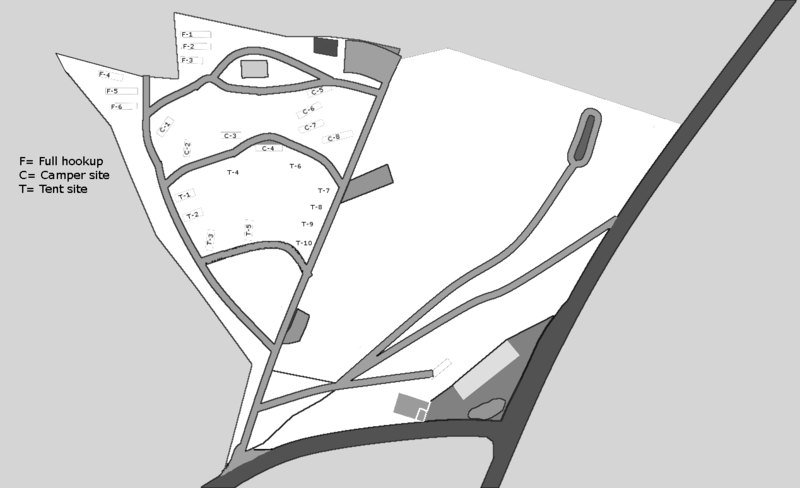 You can get our weather here, you will find the campground rules here, and you may see a map of the campsites here. Occasionally, during the summer, when the weather is really dry, DeKalb County is under a burn ban. Please read this page for important information about burning campfires, before you burn. Please note, these burn bans do not affect grill usage. You may always grill. For a complete description of our campsites, click here. To reserve a site, call (931) 858-1551. If you need to cancel a reservation, click here or call. If you have made a payment using our easy online payment system, please take a moment to fill out this very short survey. Check out the PrintablePages section in the sidebar for pages you can print out to keep as a reference. If you would like for us to call you, day or night until 7:00pm ET, simply fill out this form to schedule a call.
" We are close enough to have all the benefits of the lake, and just far enough away to be totally peaceful. The perfect place to unwind after a hard day at the lake. " 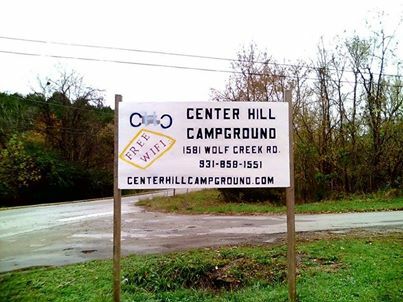 No matter what the season, Center Hill Campground is here to provide a great camping experience for you and your family. We strive to be competitive with our rates. We charge the same rates all year, and unlike most other campgrounds, you may stay as long as you like. We are the only campground near the lake that allows campers to live here long-term, with no contracts. From 1 night to 1,000, we've got you covered. While most others have a 2 week limit, there is no limit to your stay with us. We have campers that have been here for many months, paying only their monthly site rental fee on time each month, and we take care of the utilities. So if you own a camper, there's no more peaceful and inexpensive place to live, this close to the lake, than at CHC. If you are already staying here, you may pay your site rental fee online here. Or, if you're planning to come to the lake only on weekends, you really need to check out our Stow & Stay Club. Never worry about vacancies again. You have a spot, guaranteed. No hassle with camper hauling and setup every weekend. Just hop in the car and come on out to the lake. Your camper will be waiting for you, right where you left it. Click the Stow & Stay Club link above to read all the details and get pricing. The entire campground is covered by 24 hour video surveillance for your protection, and the Campground Manager lives right here on the property. Our FREE WiFi will let you keep in touch, if you must. Or, watch a movie on your tablet by the campfire. Or you can just chill. So come spend a few inexpensive nights with us, and scratch that itch. You'll be glad you did. Oh, and don't forget to visit us on Facebook! Get reviews, videos and photos not found here, and the latest updates about CHC. Remember to Like, Review and Share! Our Photo Galleries are available here. If you can't find what you are looking for, you may search our website using the search tool below.